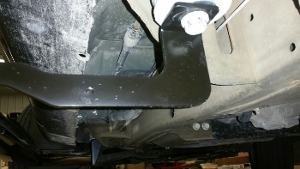 These running boards or tube steps install to the Rocker Panels. The Rocker Panels are the part of the body just below the doors. This style of installation usually utilizes existing factory holes. The weight limit on this style of installation is usually about 300-350 lbs. 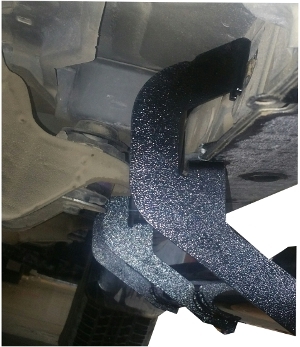 These running boards or tube steps install to the vehicle utilizing the Body Mount Bolts. The Body Mount Bolts are on the bottom side of the cab and are the bolts that secure the cab to the frame. The weight limit on this style of installation is usually about 350-400 lbs.